River Kensey. | Launceston Then! 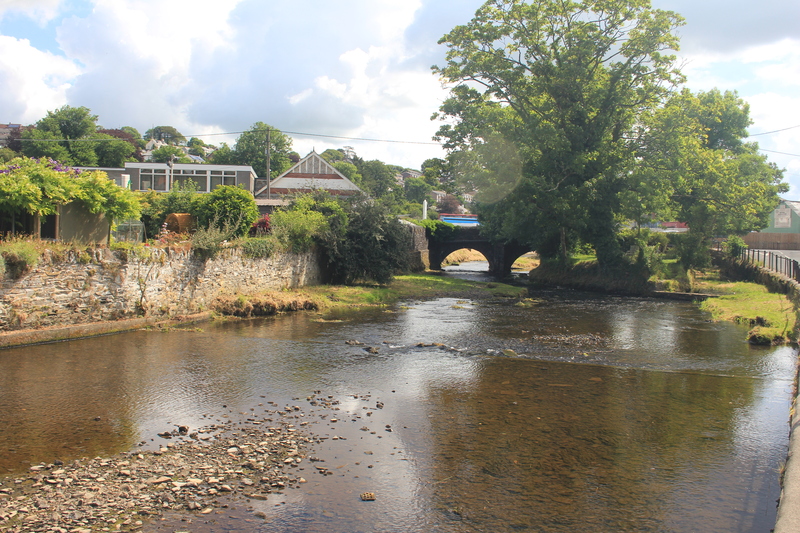 The River Kensey (Kensi and Kynsy in 13th century charters) is the most prominent river for the town of Launceston cutting as it does through the town at Newport (Port was another meaning for market place. In early medieval times it was the new shopping centre in between the older ones at Dunheved and St. Stephens.) 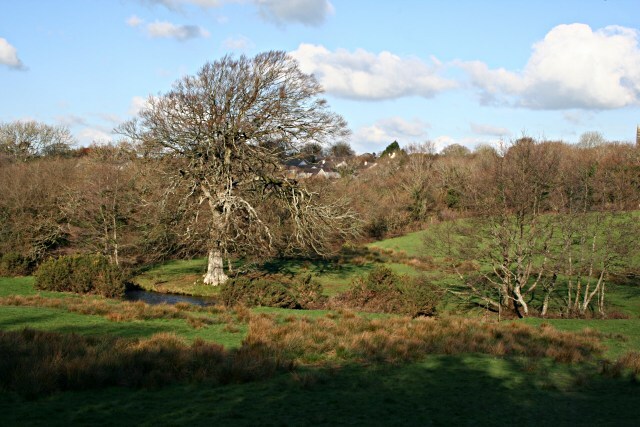 The river itself rises at Keyrse (Keuros) in Treneglos parish and lays its course for ten miles. It joins the Amry, which itself flows down from the Laneast moors, at Egloskerry winding its way down under Kestle and Newchurches through to Newport. Here it is spanned by the ancient Priors Bridge (below) which enabled passage over the Kensey from one side of Newport towards the side that was once dominated by the Priory. There was a ford on the up stream side of this footbridge which would have been used for vehicular traffic before the construction in the eighteenth century of a new bridge (Kensey Bridge) just a short distance downstream. 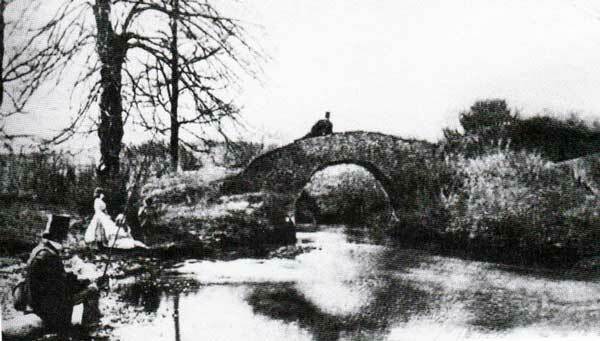 Above the Priory Bridge with the adjacent Ford that for early crosser’s of the Kensey was the only means of getting to the other side of the river. The whole area was re-worked in the late 1990’s by the Environment Agency to improve the flow of the Kensey and added flood protection by the bridge. 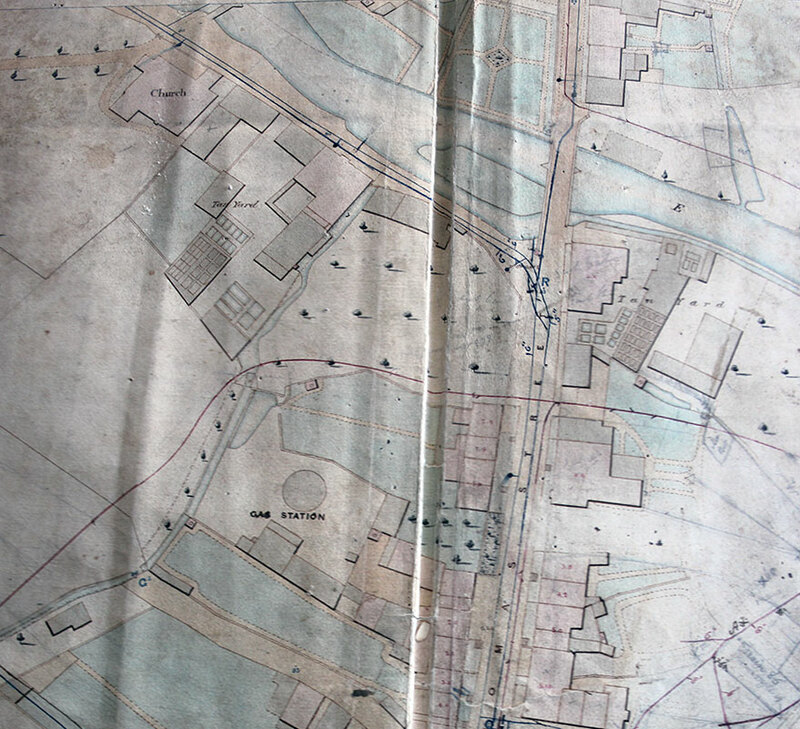 The area around Newport was at one time a hive of industry with many Tanneries located along its banks. 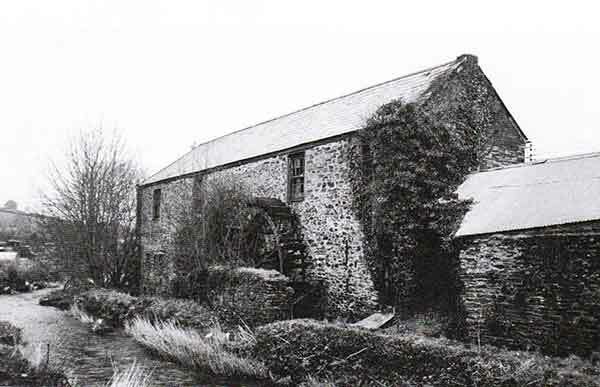 There was even one located on what is known as the island, a short piece of land that lies beside the Kensey Bridge. Below is the Hender Tannery with its waterwheel and trace by the River Kensey. The wheel and the bank were all taken down in the flood prevention scheme. 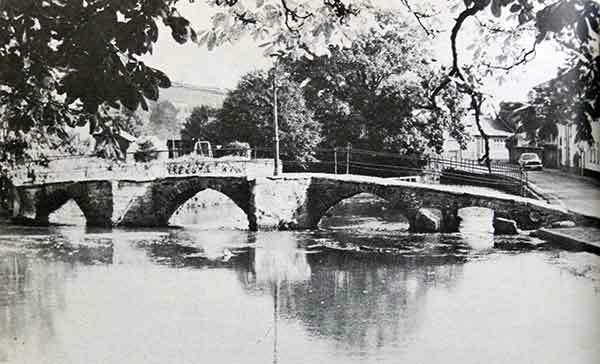 On leaving the town the river travels a few miles toward St. Leonards where its spanned by another ancient bridge (below) built around 1580 although it was rebuilt at the cost of the Borough of Launceston later on. A short distance on from St. Leonards bridge the Kensey flows into the River Tamar, thus ending its ten mile course.